On this week’s edition of Disney Channel Masterpiece Theater, we’re exploring the double trouble magical adventure, Twitches. Disney Channel loves their holiday-themed movies and creating those guilty pleasures that fit the season, like during Christmas or Valentine’s Day. I can’t get enough of Halloween! 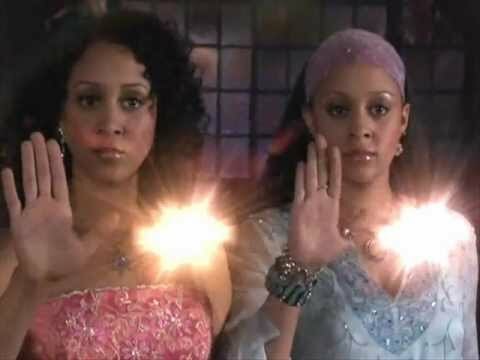 Twitches had the perfect mix of what I love: magic, drama, and the return of 90’s teen stars, Tia and Tamera Mowry. I mean, I LOVED Sister, Sister when I was younger; I think that’s why Twitches was a DCOM that I had to watch. 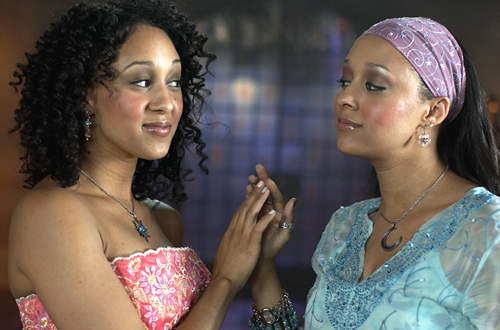 Twitches is the story of twin sisters (Tia and Tamera, obviously) who meet each other for the first time and discover that they’re magical princesses from a different land. They were separated at birth to hide from a dangerous being that is trying to kill them. Think of it like Sister, Sister meets Harry Potter! It’s a whole new world for them, as well as us as the viewers. I felt a connection to Twitches when I watched it for the first time. DCOMs tended to feature younger characters and focus on elementary/high school storylines for a while and I wanted something different. I was 15 years old when Twitches premiered; I was one of those awkward and sarcastic preppy kids in high school. The fact that Twitches was a story about more grounded characters in their 20s felt like a breath of fresh air. Well… “grounded” with magical powers. These characters needed jobs and they went to school–it was more mature in a way. After re-watching it now, I still enjoy the movie, probably not as much as I used to in the past. The one thing that popped up more so this time around is that I noticed the CGI. Twitches came out in 2005 and let’s just say that it did not have the best special effects. I may have laughed a bit watching some of the scenes from the magical land. The DCOM budget and attention to detail has grown from the success of recent movies. Though, it still is a good movie and a treasure from Halloweens past. Twitches will always join other lighthearted Halloween favorites like Halloweentown, Tower of Terror and of course, Hocus Pocus.